Instead of reaching for the same classic angel or star Christmas tree topper this holiday season, think outside the box and consider DIY. 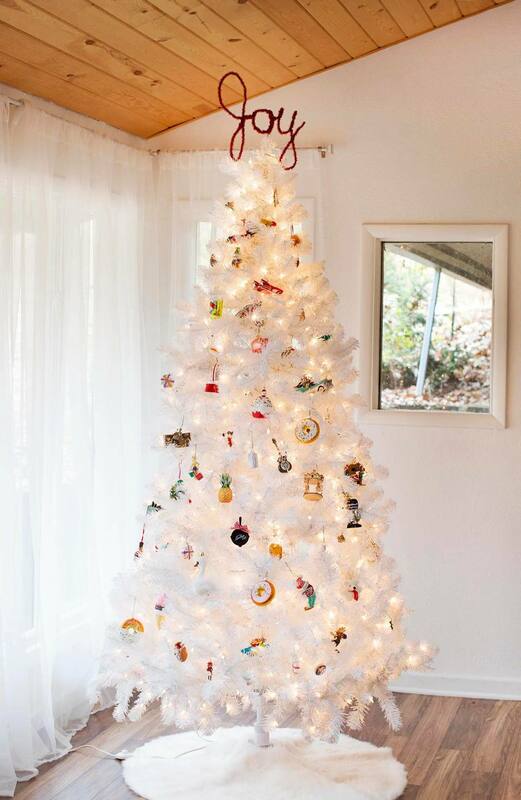 Pushing your holiday decor over the edge can be as simple as adding a fun and unique topper to your tree. In most cases, a DIY tree topper only requires a few supplies and a bit of holiday-themed creativity. You can design your topper to match your home decor, reflect your Santa-like personality, or show off your favorite colors. There are plenty of great DIY tree topper tutorials to try that will get you off on the right foot. It’s hard to believe this stunning tree topper is a DIY project. To boot, it’s simple to make and totally budget-friendly. The holidays are full of love, peace, and joy, so why shouldn’t your tree follow suit? Imagine the classic star tree topper with a modern makeover. That’s what you get with this DIY glittery paper star tree topper tutorial, using easy-to-find materials like decorative paper and a hot glue gun. Pipe cleaners are the magic ingredient that makes this DIY project so adorably whimsical. And, let’s face it, we love playing with pipe cleaners. Customize this simple DIY to show off your favorite holiday phrase or symbol. Perhaps one of the cutest—and often forgotten—decorations is the classic bow. It’s sweet, innocent, and full of holiday cheer. This tutorial will show you just how to create the perfect velveteen bow to place atop your tree this year. Channel your inner party animal and liven up your Christmas tree with this DIY disco ball tree topper tutorial. There’s no better way to add glam and glitz to your holiday. Classic Christmas ornaments are adorable. This fun tutorial will guide you through the steps to make a giant one to place on your tree for a fun and whimsical topper. Sunburst mirrors are all the rage when it comes to modern home decor. Now you can add one of these stylish accessories to your Christmas tree! Nothing says cozy quite like colorful, fluffy pom poms. Choose your favorite ones and dive into this cute craft. The simplicity of this tree topper gives it an elegant and modern look, perfect to get your home in the holiday spirit. If you’re avoiding busy decor on your Christmas tree, this craft is for you. Nature enthusiasts aren’t the only ones who will love this DIY. The cute design just screams Christmas and will perfectly complement your tree this year. Cute holiday decor doesn’t need to break the bank and at only $3, this easy-to-follow tutorial will prove it! Make a statement with your Christmas decor by adding your family’s initial to your tree with a balloon. The ones used in this tutorial make it easy, while keeping it trendy. You say Christmas, we say sweets. The two go hand-in-hand. This adorable tree topper says both and will make your space look both festive and delicious. If you want a craft that’s cute, easy, and a fun family activity, look no further. You can likely find all of the supplies needed for this craft at your local craft store. Have your kids join in on the fun and help you customize it. Whether you live steps away from the sand or miles away from it, you’ll love this coastal DIY using driftwood. Warm, beachy vibes are always welcome in chilly December.